Get in America, we're Making Coffee Great! 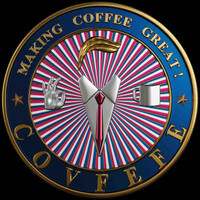 Thank you for your interest in COVFEFE: Making Coffee Great! We are the World's Best Coffee for Deplorables by Deplorables. If you have a store that wants to MAGA, take back your country, and win the culture war then let's start winning together. Join the COVFEFE Community today!